The Secret to Fear no Man! This is the third instalment on how to defend yourself the smart way. 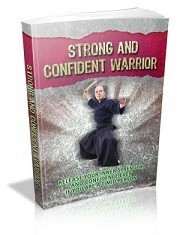 We have covered the biggest mistake in self defense and the secret to winning against an attacker twice your size. This article is about how to address your fear. Are you interested in making your life better in ways that you cannot imagine? You can do that. You don’t need a self-help book, and you don’t need hours of therapy (not that there’s anything wrong with either of these). How do elections influence you personally? What difference does it make who is in office? What happens when a new world leader is elected? In general, there are three major responses to esoteric issues in the field of spirituality. They are represented by three groups: the believers, the skeptics and the explorers. It is good to be aware of the mental proclivities of these groups.